Earnings season always brings up tremendous anticipation and more than a little anxiety. Although we’ve enjoyed a decade-long bull market, individual names still must deliver the goods. Moreover, we’re witnessing increased pressure on well-known blue chips to keep the party going. However, these stocks to watch face unusual difficulties. First, many big corporations have already warned investors not to expect too much this earnings season. According to The Wall Street Journal, many powerhouses such as Apple (NASDAQ:AAPL) and 3M (NYSE:MMM) have cut full-year profit forecasts due to a challenging environment. Therefore, executives will likely need a better-than-usual performance to keep investors satisfied. Second, several stocks to watch must contend with heightened — and perhaps unrealistic — expectations. As mentioned on the top, this bull is ten-years-old, a record-breaking number. However, this legacy is also a liability. Investors need extra motivation to justify risking their money. If they’re not convinced, we could see a noticeable pullback in the major indices. Finally, a good chunk of the companies set to release their earnings results shortly are bellwether firms. These institutions typically speak for their target industry, or in the case of big banks, the domestic economy. You couldn’t ask for a more pressure-filled environment. Hence, the overriding anxiety on the Street. Airliners represent a vital segment of the economy’s pulse. 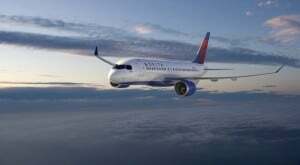 If conditions are good, sector players like Delta Air Lines (NYSE:DAL) will benefit from a double dosage of revenue: first from the leisure travelers, and more importantly, from corporate clients. If DAL stock is any indication, the airliners should put forward solid performances. In particular, Delta raised its earnings per share guidance to 85 cents to 95 cents. That’s a strong leap from the prior guidance of 70 cents to 90 cents. As a result, Delta stock took off on the boosted optimism, and shares haven’t looked back since. Still, Boeing’s (NYSE:BA) 737 Max jet imposes a dark cloud on the industry. With the Max grounded due to a possibly faulty software, DAL stock may lose on domestic-flight revenues. Despite some positives, I’d still put Delta on your list of stocks to watch carefully. As the e-commerce revolution made brick-and-mortar retailers increasingly irrelevant, names like Bed Bath & Beyond (NASDAQ:BBBY) felt the heat. But despite many investors leaving BBBY stock for dead, it’s actually one of the top performers this year. Since January’s opening price, Bed Bath & Beyond shares are up 65%. But will investors want to speculate on this resurgent retailer? That’s the $64,000 question. On one hand, its consensus EPS target for the fourth quarter of fiscal 2019 is reasonably attainable at $1.11. Further bolstering the argument for BBBY stock is that most covering analysts expect management to at least hit this metric. However, Q4 earnings have consistently fallen since at least FY 2016. For prospective buyers to remain interested, they’ll require a combination of results and a viable narrative. With so much competition, this is one of the stocks to watch that could get ugly. 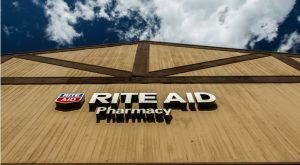 This is do or die for Rite Aid (NYSE:RAD). If we’re basing our assessment just on the charts, chances are, you’re looking at dead money. RAD stock has severely disappointed speculators, and even this year, shares are down 17%. Still, the company appeals to risk-takers because it’s a well-known entity. In addition, management is throwing its full weight toward growth and expansionary efforts. In the past RAD stock experienced significant spikes in market value due to the underlying firm’s pharmacy benefit manager business, as well as its enhancement of clinical services. Unfortunately, effort alone doesn’t attract investor dollars. At some point, management must deliver the results, and this is where Rite Aid lacks. For instance, the company rang up $5.45 billion in Q3, which was less than 2% growth year-over-year. Certainly, RAD is one of the stocks to watch. However, I’m afraid it’s not for the right reasons. If you have any interest at all in the markets, you’ll drop everything this coming Friday. That’s because JPMorgan Chase (NYSE:JPM) will release their Q1 2019 earnings results before the opening bell. Indeed, it’s fortuitous that America’s bank is releasing on Friday: if the numbers don’t quite stack up, at least people will be happy for the weekend. In all seriousness, JPM stock is the ultimate bellwether among the stocks to watch this week. Consensus estimates peg EPS at $2.35. This is very much near the higher end of the estimate spectrum, which ranges between $2.12 and $2.44. In theory, everything is set up for a typical beat. However, JPM produced an EPS of $2.37 in the year-ago Q1. Therefore, anything less than that could disappoint Wall Street. Additionally, we’ve recently witnessed cracks in the armor of JPM stock. In Q4 2018, the big bank suffered an uncharacteristic miss. Needless to say, JPM must fire on all cylinders. Otherwise, most other stocks to watch are likely headed downhill. 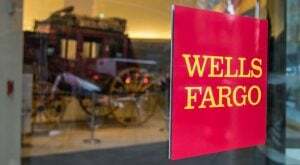 Another big bank that’s set for a severe earnings test is Wells Fargo (NYSE:WFC). Historically one of the most respected names in finance, WFC stock absorbed massive hits due to multiple scandals. The biggest involved Wells Fargo employees creating millions of fake accounts to meet ambitious sales targets. Obviously, this didn’t sit well with clients and the general public. Last year, the big bank faced additional accusations, including imposing hostile work environments and mortgage discrimination. However, WFC stock has surprisingly kept pace with its brethren. This year, shares are up 8%. But will this positive momentum continue? This question is the reason why I’m putting WFC on my list of stocks to watch. Specifically, I’m looking to see if management echoes JPMorgan’s thoughts about the economy and the broader markets. If both big banks disappoint in their earnings disclosures for the same reason, that’s a clear sign to go defensive. Also releasing its earnings result for Q1 this Friday is First Republic Bank (NYSE:FRC). I don’t necessarily mean to lean heavily toward financial institutions for this list of stocks to watch. However, banks really are where the rubber meets the road for all kinds of businesses. But I’m really interested in FRC stock because I think in some ways it’s a better indicator for economic health. Unlike stalwarts such as JPMorgan or Wells Fargo, First Republic Bank is a regional institution. However, it has a heavy presence in California and New York, the heart and soul of the American economic machinery. Therefore, you should pay close attention to the financials for FRC stock. Specifically, I’d like to see substantial growth in First Republic’s non-interest income. This is the portion of revenue that deals with commerce-related activities, such as lending, advising and consulting. Do well here, and I can see a case for the ten-year bull turning eleven. If not, it’s time to cash out. I made a mistake in my earlier metaphor: transportation specialists such as J.B. Hunt Transport Services (NASDAQ:JBHT) is truly where the rubber meets the road. After all, if the economy isn’t healthy, you wouldn’t expect JBHT stock to perform well in the markets. Fortunately, J.B. Hunt has forwarded a solid showing in 2019, gaining nearly 15% since the beginning of January. However, the company releases its Q1 earnings results next week, and this is where things will get interesting. Consensus estimates peg EPS at $1.29. This target is near the higher end of estimates, which range from $1.14 to $1.37. So far, so good. However, J.B. Hunt’s business appears to be getting more expensive, with net income trending sharply down YOY in Q4 2018. Obviously, this is one of the more important stocks to watch. Impressive results combined with a strong narrative could lift JBHT stock and others. However, rising expenses present a challenging headwind. Johnson & Johnson (NYSE:JNJ) is easily one of the most intriguing stocks to watch over the next several days. As a pharmaceutical and household-products name, JNJ stock enjoys two lucrative revenue channels. Moreover, the renowned organization pays out a 2.6% dividend, providing some shelter from volatility. Unfortunately, that shelter is necessary to protect against its own turmoil. Late last year, JNJ stock absorbed an uncharacteristic body blow. Allegations erupted that management knew the possibility that the company’s baby products could be contaminated with asbestos. Because so many families trust Johnson & Johnson, the horrible optics hemorrhaged shares. However, our own Chris Lau views JNJ as undervalued, and set for a possible rebound. He’s right so far. But the real test comes in the form of Q1 results. I’m interested in the sales of household products. If consumers are starting to skimp out on essential goods, that’s not a great sign for the economy. 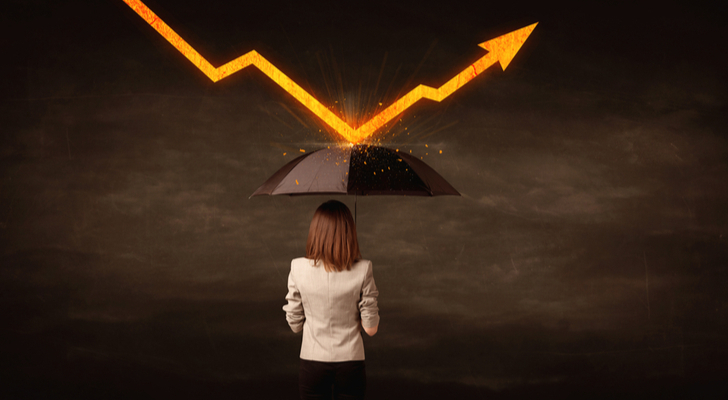 Article printed from InvestorPlace Media, https://investorplace.com/2019/04/8-risky-stocks-to-watch-as-earnings-season-kicks-off/.